Kramer & Associates is a team of attorneys and legal assistants working together to best meet your legal needs. We believe that the law can be used to achieve a more just society. 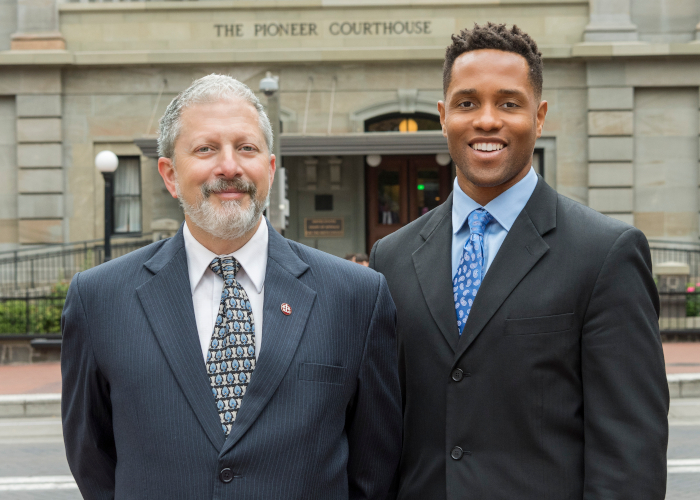 With over 35 years of litigation experience in state and federal courts, our attorneys have the knowledge and experience to obtain the best possible outcome for you. We provide aggressive, understanding and effective personal service. That means working to get a fair settlement through negotiation and mediation when possible. When that is not possible, you can count on us to be your strong advocates in the courtroom. We focus on family law (including custody, support, parenting time, divorce, as well as grandparent and psychological parent rights). We also have experience to protect your civil rights and help your recover fair compensation in personal injury cases. Personal service is our number one priority, and we take great care to handle all matters discreetly and professionally. Our experienced and empathetic staff are ready to ensure that your needs are addressed in a timely manner and to your satisfaction. When necessary to accommodate your personal needs, attorneys are available after regular business hours. Kramer & Associates provides legal representation without regard to gender, gender identification, race, religion or sexual orientation. Kramer & Associates is conveniently located in the Cascade Building at 520 SW Sixth Avenue, Suite #1010, in downtown Portland, Oregon. Validated parking is available. Call 503-243-2733 to schedule a consultation.